Virginia Eye Institute has established its own surgery center to ensure the optimal level of patient care. Our facility is beautifully situated on the Kanawha Canal and is designed to minimize the stress associated with traditional surgery settings. Quick and easy check-in is accomplished by offering free and convenient onsite parking, an elevator-accessible lobby, and a professional patient-focused staff. The center holds the distinguished certification of the Accreditation Association for Ambulatory Health Care (AAAHC), indicating that quality care and personalized service are continually delivered. To qualify for this premier accreditation, rigid standards must be met in patient safety, emergency equipment, anesthesia, instrumentation, policies, procedures and quality control. Virginia Eye Institute surgeons are highly skilled, specialty trained, and board certified by the American Board of Ophthalmology. They are supported by a team of anesthesiologists board-certified by the American Board of Anesthesiology or the American Osteopathic Board of Anesthesiology. Together, with certified registered nurse anesthetists, our Anesthesia Care Team delivers the highest quality anesthesia services for elective and emergency surgery. The nursing staff is certified in advanced cardiac life support and pediatric life support. We are dedicated to making your surgical experience as safe and comfortable as possible. VEI surgeons perform thousands of procedures in our surgery center every year, including cataract and premium intraocular lens (IOL) implant surgery, LASIK and refractive surgery, glaucoma treatment, vitreo-retinal procedures, treatment of corneal disorders and corneal transplants, cosmetic and reconstructive surgery, as well as pediatric and adult strabismus surgery. 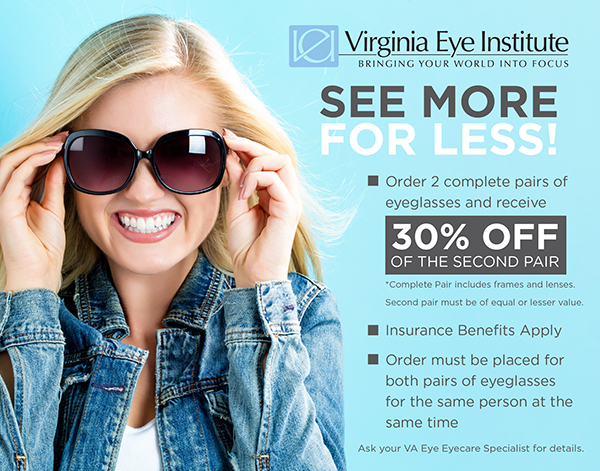 Virginia Eye Institute houses a full range of advanced lasers, specifically designed to provide you with quality care and contemporary treatment: the Argon and SLT lasers for treating glaucoma; the Yag laser for post-cataract capsule treatment and glaucoma; as well as the bladeless IntraLase laser and Visx Excimer laser for the popular elective LASIK procedure. In a recent press release, North American Partners in Anesthesia (NAPA) announced a new partnership with Virginia Eye Institute.